Chatbots, what they are and how brands can use them? Chatbots are the most powerful technology for business in the world. Chatbots are robots developed programmatically that imitate human conversations including text, images and videos. People nowadays using chatbots in website, social media. As consumers become bombarded with more and more advertising both online and offline, attracting customers is becoming a challenge for both large and small businesses. Nowadays the most powerful platform to run a business is social media, most of the users log in from their mobile phones, the users are tech-savvy, so to satisfy their needs there should be chatbots to give faster results, to cut the patience game. 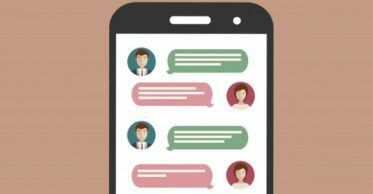 Chatbots are conversational, delivering a response when a question is posed, this engages the customer. We created a chatbot for one of our clients, IIFW (India Intimate Fashion Week), #TheRightCupProject was launched on Women’s Day. The whole motive to build the chatbot was to make women aware of their right cup size, because 80% of female do not know their cup size! In a country where a female would know what type of coffee she prefers and also knows the lipstick shade that would suit her skin tone, still finds it taboo to ask or even discuss her right cup size. To remove that awkwardness of asking a human we developed The Right Cup Chatbot so that they could help themselves and buy the right cup size bra to avoid major hazards that could be caused to females physically if they ignore and continue wearing the wrong cup size bra. The campaign created a buzz. The campaign reached around 29,134 people & got 2,260 reactions, comments & shares. The chatbot got around 208 conversations. This campaign created a great number of awareness as well as engagement. How brands can use Chatbots? Engage in conversations– Engaging customers in conversation makes a user connect to the business. Customer Analysis– Chatbots can also be programmed to track purchasing patterns and monitor data of customers. This gives a better understanding of potential customers as well. Easy lead generation-Conversations can lead to purchases, sign-ups and appointments. Such leads are very useful for re-marketing as well. Presence– In the world of social media where brands are everywhere, chatbots give a human presence feel which helps customers connect easily. Conclusion- We’re still in the early days of chatbots, As with any new technology, chatbots have to overcome a number of issues as a part of their evolution process. Yet, they are highly effective with definite customer engagement process. Brands and businesses who want lead generation and conversions can use chatbots to make themselves interactive. Previous PostPrevious Why LinkedIn advertising is the most underrated social advertising today? Next PostNext How does great photography improve conversions on your E-commerce site?